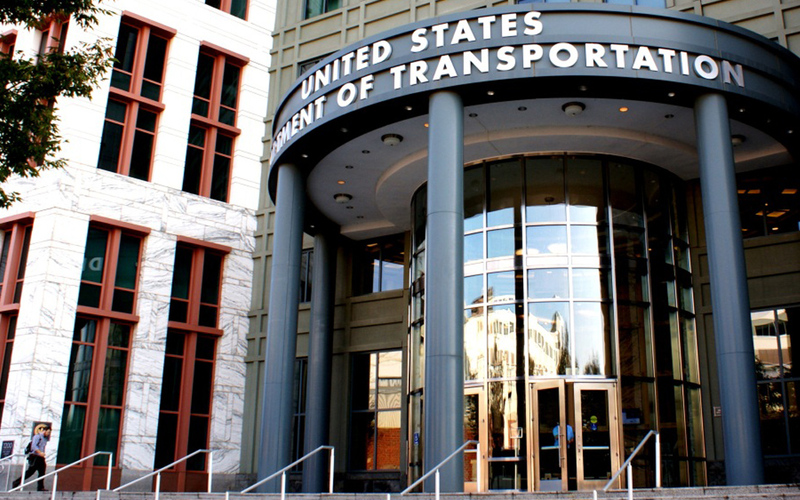 The U.S. Department of Transportation (U.S. DOT) has awarded nearly $500 million to 41 projects in 43 states, in the latest round of Transportation Investment Generating Economic Recovery, or TIGER, grant funding. The fiscal year 2017 program again gave special consideration to projects that emphasized improved access to reliable, safe, and affordable transportation in rural communities, U.S. DOT said. In nine rounds of grants since 2009, the TIGER program has provided $5.6 billion to 463 projects in all 50 states, the District of Columbia, Puerto Rico, Guam, and the Virgin Islands. Unlike the federal highway and public transportation programs, TIGER grants do not require matching funds, making the awards highly sought after by state and local governments. The program relies on general funds rather than the Highway Trust Fund. SR 189 Flyovers: Grade Separating Trucks from the Town, Arizona Department of Transportation, $25 million– for raised medians, pavement widening, flyover ramps, and new roundabouts. Northstar Boulevard (U.S. Route 50 to Shreveport Drive), Loudon County, Virginia, $25 million– to construct a 1.6-mile segment of Northstar Boulevard to complete a 14-mile north-south corridor connecting to U.S. Route 50. Lincoln South Beltway Project, Nebraska, $25 million– to construct the Lincoln South Beltway, which will serve as the primary route between U.S. Highway 77 and existing Nebraska Highway 2. BIA Highway 10 Reconstruction Project, Lower Brule Sioux Tribe (South Dakota), $21 million – to reconstruct BIA 10, including asphalt resurfacing and installing culverts, base course, rumble strips, and pavement markings. Route 37 Corridor Safety Sweep Project, Rhode Island Department of Transportation, $20 million– to replace four bridges, rehabilitate two bridges, preserve nine bridges, and improve multiple traffic bottleneck conditions along a 1.6-mile section of Route 37. Blue Ridge Road Grade Separation and Intersection Improvements, North Carolina Department of Transportation, $19.9 million– to eliminate an at-grade crossing by lowering the Blue Ridge Road from its existing grade to pass under the North Carolina Railroad (NCRR) right-of-way. Route 3, Ramp A and Bridge over Rail Lines, New Jersey Department of Transportation, $18.3 million– to replace the existing, structurally deficient Route 3 bridge over two rail lines and a nearby ramp. Beartooth Highway Reconstruction Project, Wyoming Department of Transportation, $16.6 million– to reconstruct 1.6 miles of Beartooth Highway (U.S. Highway 212), completing a reconstruction of the full 67-mile length of the highway. US 78 Phase 2 Bridge Improvements, Dorchester County, South Carolina, $13.3 million– to improve an 8.2-mile section of US 78 between the cities of Summerville and St. George, including road resurfacing, shoulder construction, road widening, and intersection improvements. Penquis Region Rural Bridges Project, Maine Department of Transportation, $10.8 million – to replace three structurally deficient or fracture-critical highway bridges in Piscataquis and Penobscot counties.